The Disneyland Resort is proud to launch a series of opportunities designed to provide Anaheim youth with interactive and engaging career exploration and life-skills activities. 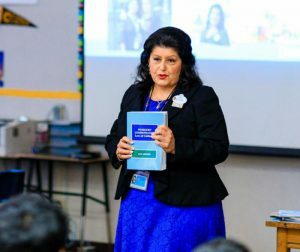 With the time and talents of the Disney VoluntEARS, high school students and young adults in Anaheim are gaining exposure to career opportunities, furthering their education and job readiness. Beyond School Walls is a workplace mentorship program facilitated by Big Brothers Big Sisters of Orange County, where “Littles” visit the Disneyland Resort once a month and meet with their “Big” for one-on-one and group facilitated activities geared towards character building, relationship development and academic success. Members of the Speaker’s Bureau inspire and educate students by sharing their own career journey and providing insight into critical workplace and career advancement skills. Workshop facilitators deliver activity-based presentations that provide students with engaging workforce readiness training in a variety of areas, such as interview skills, resume writing, networking and business etiquette. At the Disneyland Resort, every role is a starring role. This video series gives a behind-the-scenes look at the unique jobs and employment opportunities at the Disneyland Resort. Whether onstage or backstage, each cast member plays an important role in making the magic come to life for our guests. We invite you to take a closer look at some of the hundreds of job opportunities that we offer right here in Anaheim!